So, this engineer gets on his train, and everyone's in their seats, the luggage is stowed away safely in the overhead compartments, and little kids are all asking if they can help blow the whistle. Everything being as it should be the engineer was all set to take his passengers from Virginia to Orlando for their fun family vacations. After sipping his hot coffee and just as he's about to accelerate the train, he realizes that he's missing the single most vital thing he needs to operate that train. No, not the brake lever... he's missing his engineer cap! 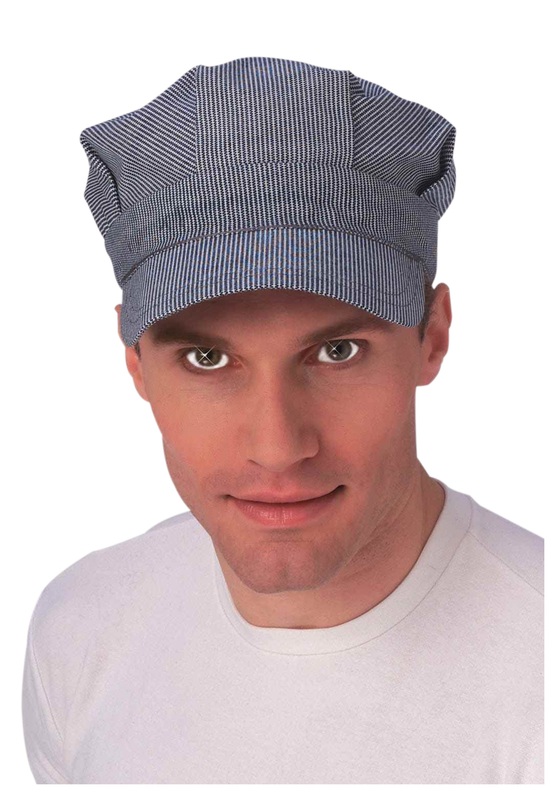 This guy DOES NOT operate a train without his trusty hat! Luckily, one of the conductors was smart enough to contact Halloweencostumes.com, so we could super-duper mega rush deliver (with futuristic steampunk power!) this handy train engineer hat to that fastidious fellow, leaving him feeling good and ready to choo choo. We're proud to state that all those vacationers were drinking overpriced theme park soda and watching fireworks explode overhead by the very next day, right on schedule. That's the magic of our trusty, striped old-timey railroad cap. All Aboard!